What are knee pads for work and where are they used? 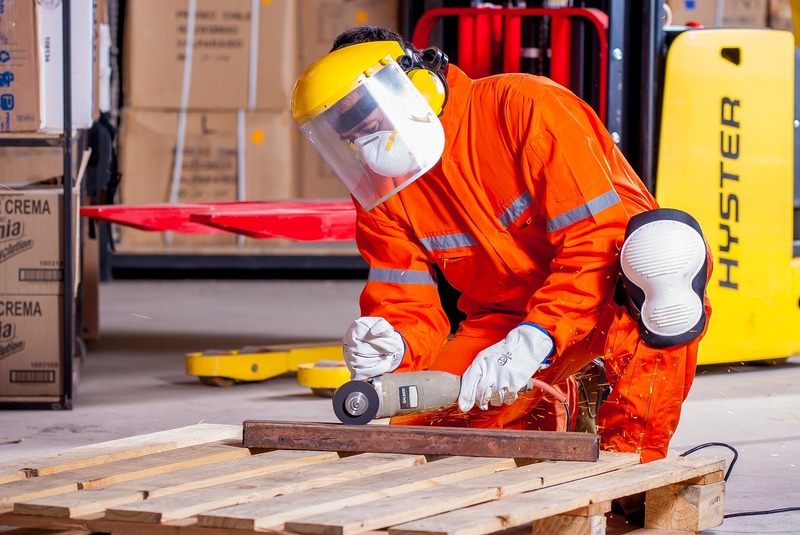 Though knee pads are usually worn by athletes and used for recreational purposes, there are many occupations where knee pads have an important role when it comes to employee safety and safety equipment. Similarly to any other knee pads, the main purpose of using knee pads for working is to protect the knees from the stress and impact it might need to endure while kneeling on hard surfaces. If your occupation requires extensive time on your knees, it is crucial to add knee pads to your equipment. Some of the occupations where knee pads are handy for are gardeners, mechanics, tilers or any other handymen. Disregarding knee pads can ultimately lead you to developing severe injuries, including arthritis, ligament tears or any other painful problems which can also mean you will need to stay away from your work a while once you have damaged the knee. It is far easier and cheaper to use a pair of knee pads than risk with your health and well-being. According to the specific occupation, you can choose between heavy-duty knee pads and softer, lightweight knee pads. The heavy-duty knee pads are designed for the purpose of using when doing flooring work or construction work in general and they feature a hard cap which takes the bulk of the strain, reducing the chance of overusing and hurting your cartilage. Thanks to a flexible design these durable knee caps still allow you to move and slide the leg around enough, hence you can move on the hard surface much easier, without even needing to stand up. Gardeners need to be on their knees most of the day – for that reason, there are special knee pads that are lightweight but provide more cushioning so it will be soft and comfortable to work all day long. Work knee pads might not always come in a strapped form. There are also pads that are meant for putting on the ground and then kneeling on the pad. No matter if you prefer kneeling pads or strapped knee pads, their functionality is the same and they both provide you the protection your knees need. When choosing knee pads for working, it is essential to find a pair that has a protective layer that prevents the material from sliding on the ground. It acts almost like a sticky grip, holding you steadily and balanced. If you prefer strapped knee pads, it would be wise to get a pair that is adjustable so they would always fit well. When it comes to the fit, flexibility is another important aspect – the more you can move your legs, the easier it will be to fulfill your work assignments. Most work-related knee pads are rather affordable which is just another perk. Maintaining your health is priceless and if your occupation requires a lot of activities where you need to kneel, it should be your first thought to get a pair of sturdy knee pads that will keep your knees healthy and protected from any impacts.